Your news is too special for any old baby announcement. 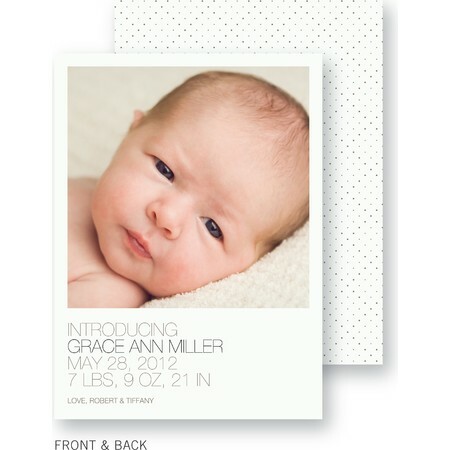 Instead, choose and customize one of our sweet and personal baby announcements. Don't settle for the standard when you can choose from a variety of custom designs, layouts and colors to capture the first photos of your newest addition. Pinhole Press baby announcements are so much more than the standard fare. Announce your new baby in a style all your own. Choose a classic baby announcement or select one of our endearingly funny styles, add a photo or two, depending on the style you choose, of your precious little one and you have a birth announcement you and your family will cherish forever. 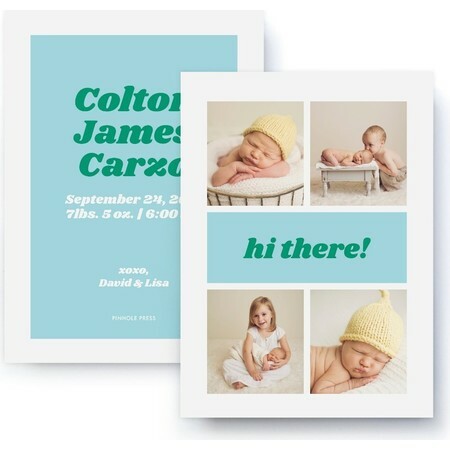 Pinhole Press baby announcements cards are the sweetest way to announce your new addition to the world. 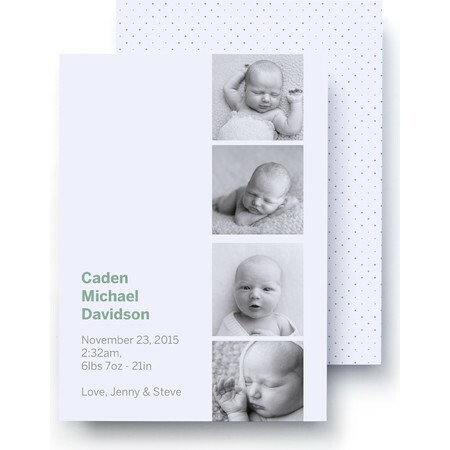 Printed on premium paper, our birth announcements come in a variety of lovable designs and layouts, including accordion, flat and folded. Capture the joy and love a new baby brings with a lovingly created personal baby announcement straight from the heart. Pricing starts as low as $1.39 a card.